Lara Croft once again makes it to screen in a pretty entertaining and enjoyable reboot. Alicia Vikander steals the show in this origin story for the Tomb Raider, one that emphasizes Lara’s resourcefulness and survival skills in this gritty and grounded reboot. Now audiences and Tomb Raider fans can take the film home with them on the blu-ray and get an idea of how the film was made in some insightful special features. My opinion from my original review of Tomb Raider largely hasn’t changed too much. Vikander is the best part of the film and owns the role of Lara Croft, making us easily root for her while delving into Lara’s vulnerabilities and badass nature. The fact she performs many of the stunts herself help sell the audience on Lara’s physicality and really pulls you into the dire circumstances she finds herself in, whether its swimming through rapids or outrunning death traps. No matter what it is, Vikander nails the role. The supporting cast does well with what they’re given. 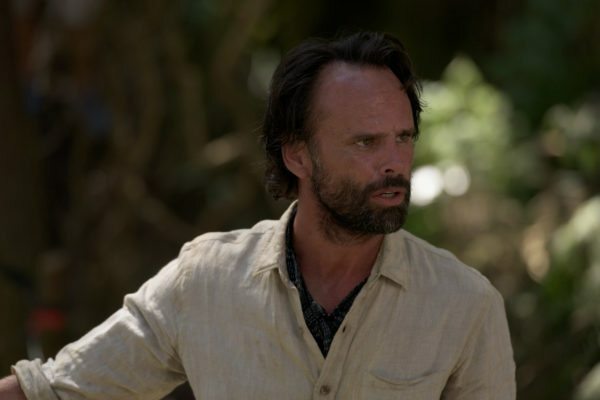 Walter Goggins has good chemistry with Vikander, but while his villain is made to be a bit sympathetic, not enough about his backstory is focused on beyond a surface level. Dominic West has a good report with Vikander that makes it a very interesting and engaging father/daughter relationship that raises the emotional stakes in the film. Daniel Wu, meanwhile, makes for a good partner that offers nice comic relief and support for Lara. His role actually subverts the typical action hero supporting role in that he can’t do everything, doesn’t know martial arts and gets injured, yet still does everything he can to help Lara. Where Tomb Raider falters is in the story as it’s somewhat generic. There is not much too it beyond Lara searching for her father and attempting to stop a mysterious organization getting their hands on possible deadly artifact. It takes a little while for the plot to kick in and the ending is a little anticlimactic by grounding the supernatural element found in the video games too much, taking away from the mystery of what Lara, her father and Trinity are after. However, the focus on Lara’s journey and the action help elevate the film and people will enjoy the variety of action set pieces throughout Tomb Raider. This takes a look at how they wanted to remake the franchise in a gritty way, using the 2013 Tomb Raider game as an inspiration. You see where they pulled their influences from the game and why they decided to do that reboot rather than something a little more fantastic. There is also an exploration into what makes this interpretation of Lara Croft a relatable character at this stage of her life as well as some of the stunts from the film. 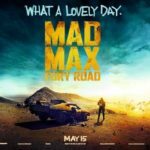 It’s a nice look at the story and how director Roar Uthaug, Vikander and the production team chose to focus in Lara in a more human way. Alicia Vikander’s transformation into Lara Croft is the film’s best aspect and this feature goes into her preparation for the role. We see just how much she had to do, starting 3 months before filming even began, with a change in her diet, intense weight training and vigorous exercise. Given that this is also Vikaner’s first intense physical role, it is really impressive how she dove right in and gave it her all that really paid off in the final product. One of the film’s biggest action pieces is Lara’s tumble down white water rapids which leads into a tense sequence on a broken down WWII fighter plane. This feature goes into some nice depth about how they prepared and filmed the scene, showing a rapids course, how they prepped for Alicia’s and her stunt doubles hands to be died, making the place fall apart, etc. Its a well-thought out sequence, though a bit more time could have been given to them, especially regarding the plane stunt. Likewise, there’s a look at some of the other stunts in the film, but not enough time is devoted to the plane or the others. The Tomb Raider franchise has been around for over 20 years now and is known as one of the most successful franchises in the video game industry. The history of Tomb Raider is explored here, but what makes this feature standout is how they got people from Crystal Dynamics, the developers of the rebooted series, to discuss the legacy behind the series and Lara Croft. It gives some nice perspective on how much of an icon Lara Croft is to gamers, particularly to female fans as well, and just how groundbreaking the very first Tomb Raider was for its graphics and gameplay of the time. For those who don’t know too much about the franchise’s history, this feature is a nice exploration into what made the games so popular. 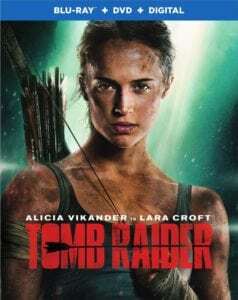 While some of the bonus features could have better fleshed out the stunts in the film and the story of Tomb Raider itself could have been better developed, the film is still an entertaining introduction to this new iteration of Lara Croft. Alicia Vikander owns the role and the blu-ray just shows how much she threw herself into it, both in a physical and emotional sense. Despite problems with the story, Tomb Raider is easily one of, if not the best, video game to film adaptations ever. Fans of the Tomb Raider series will enjoy this one a lot.